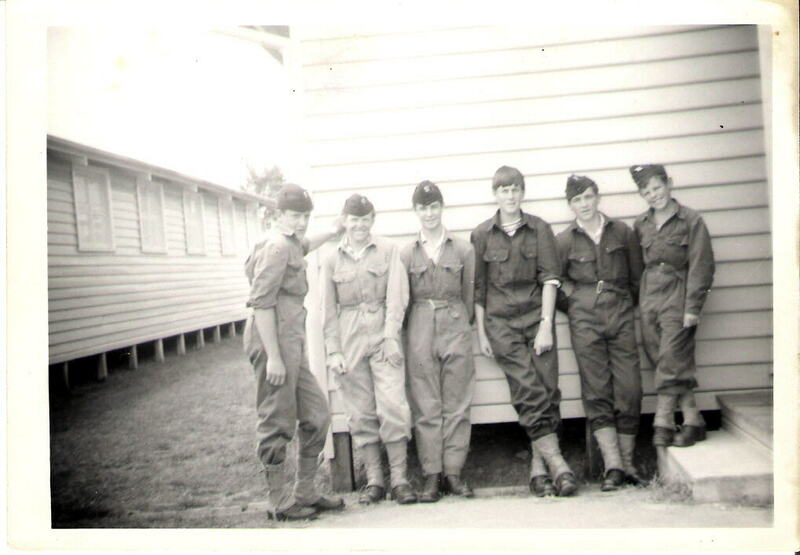 Enjoy the trip down memory lane with the photgraphs received from Russell King and his years in NO 26 FLT. The pix I promised are on the accompanying disc. Please feel free to use them as you see fit, some are scans of photos and others (of obviously lower quality) are scans of prints made from scans. 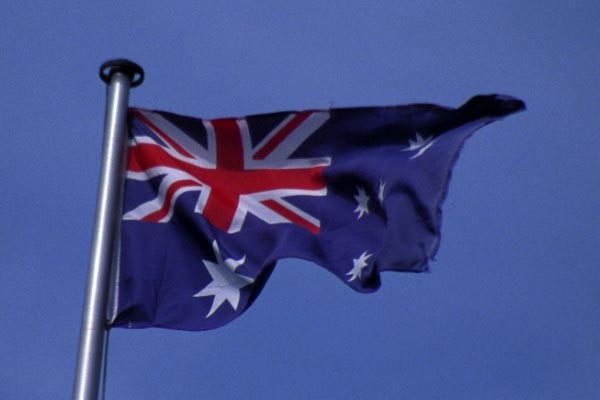 Some cropping etc. may be required, you being in the IT industry no doubt know more than I about that. The following table gives some background to each of the pictures. I�m afraid I don�t have all the names and pack drill, but you�ll obviously decide what�s good and what�s not. 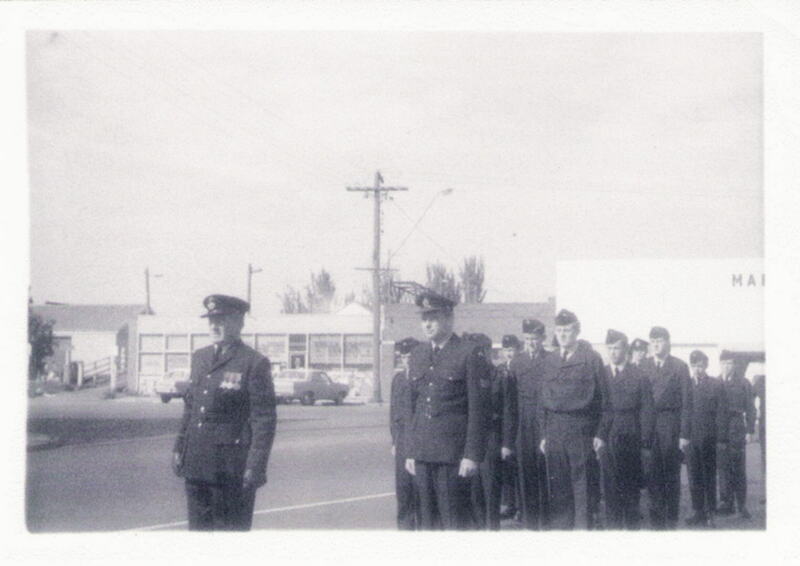 ATC 5 Traralgon Anzac Day March, 1968. 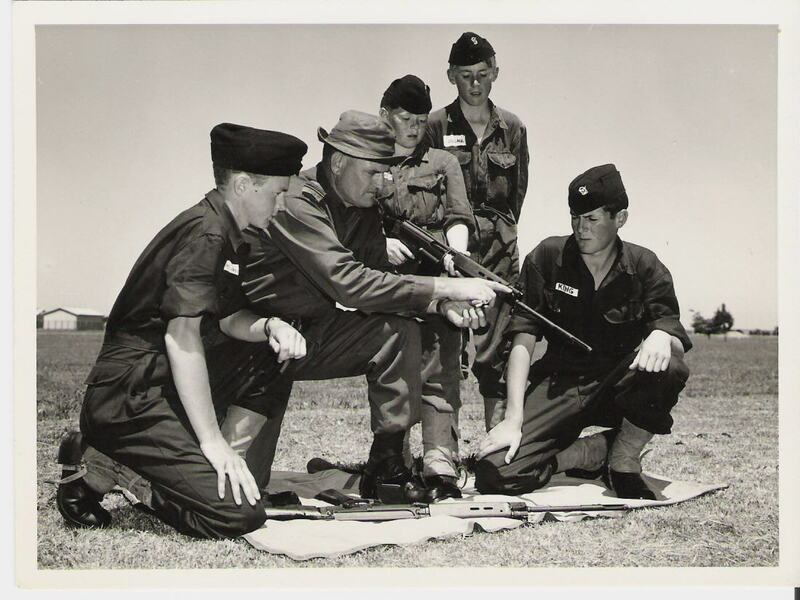 Leading is FIgOff Trevor King and the NCO is SGT Bernie Hennie. 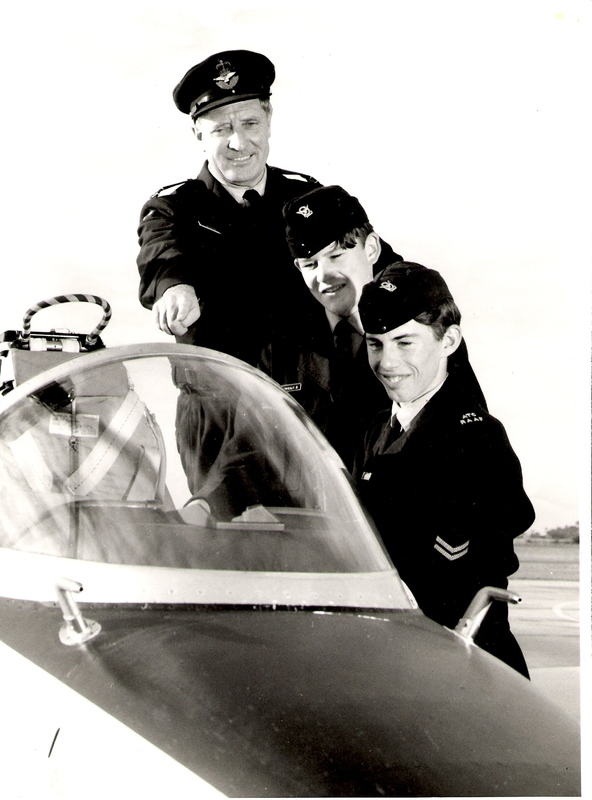 ATC 6 SGT Trevor King, an unknown Cadet SGT and 26FLT�s cutaway Gypsy engine at the Morwell Show in 1966. 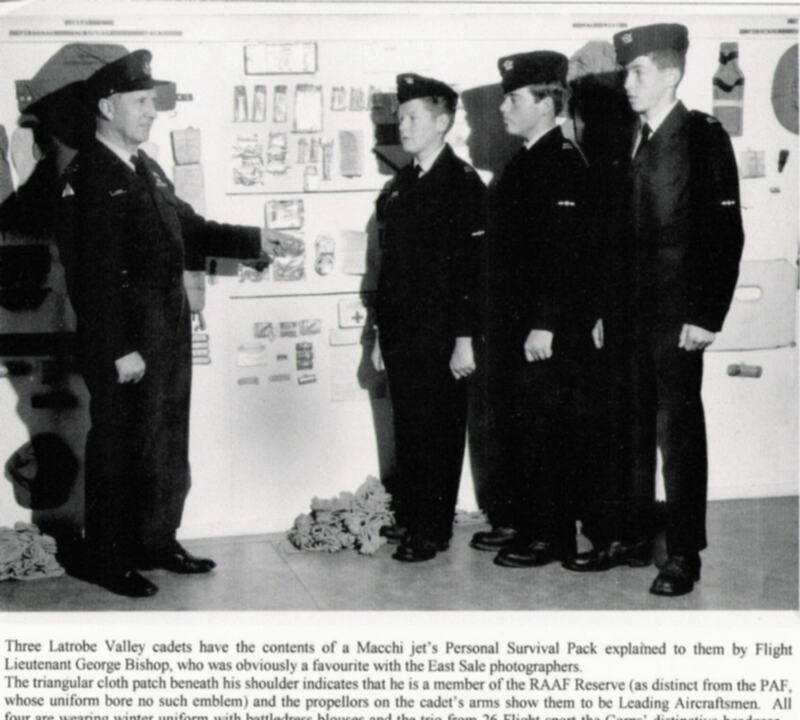 ATC 7 FltLt George Bishop and three LV cadets in the East Sale Safety Equipment Section. 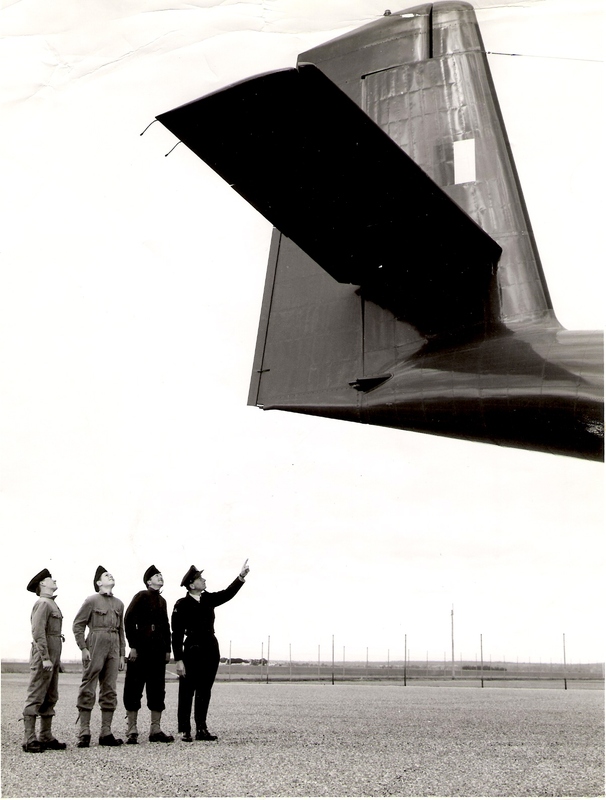 Bishop had also been a WWII flier. 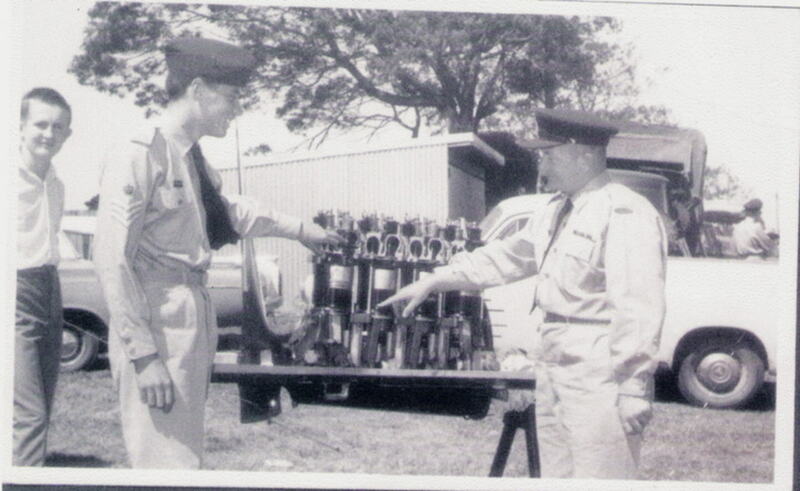 ATC 8 Cuffing from the Latrobe Valley Express in December 1968. 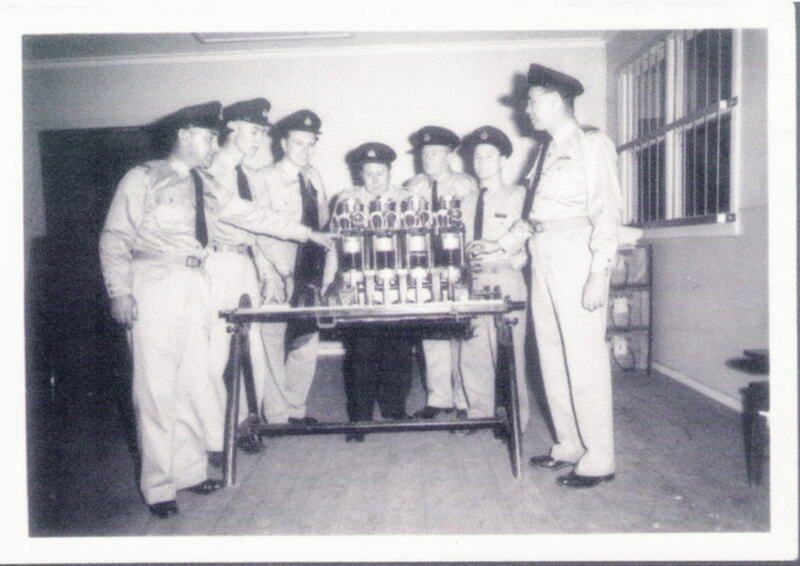 The scene is from the 26FLT end-of-year parade. 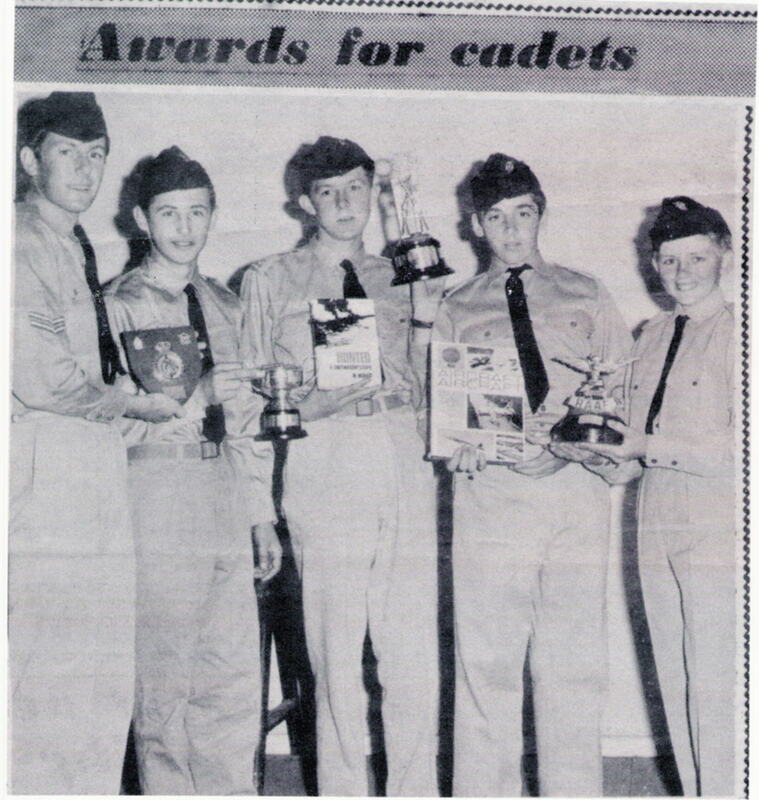 The cadets are: CPL R King (me), LAC Bill Hall (Cadet of the Year), LAC Trevor Beames (Best Advanced Cadet), LAC lan Russell (Best Proficiency Cadet) and AC Ray Murray (Best Basic Cadet). 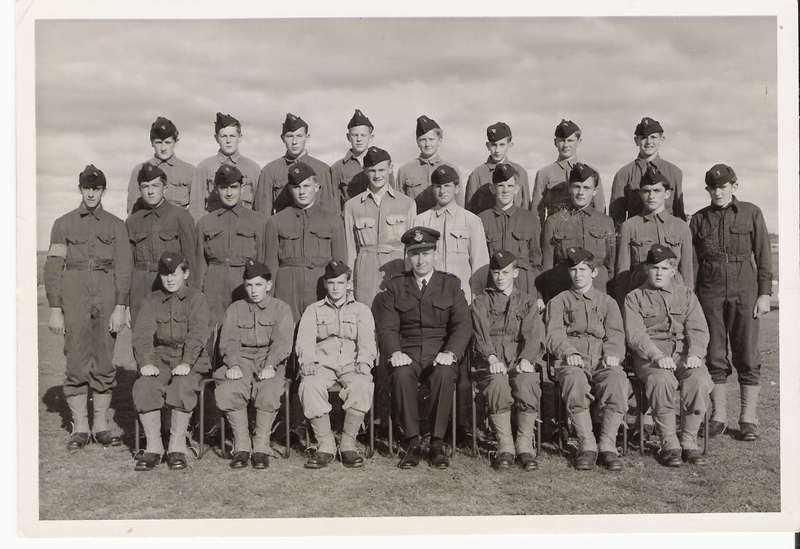 Both Hall and Beames went on to join the RAAF. 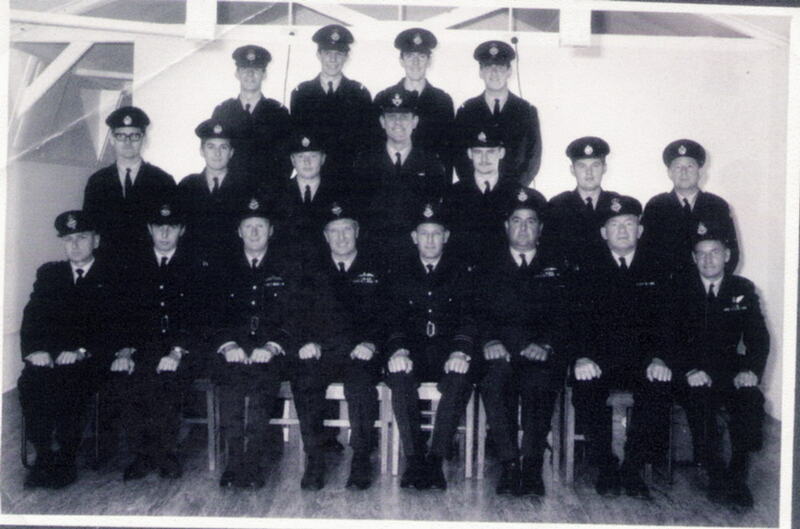 ATC 10 My Junior NCO Course in 1966, I�m to the right of the big bloke in the back row (his name was Perry, and he was a monster) a.nd the reason 1 already have my stripes is that I had been granted acting rank some six months before, Some other names from the course are: Kennedy, Odgers, Homer, Lovett, loannides and Parsons, The airman in the front row was named Krai-Krakewski. 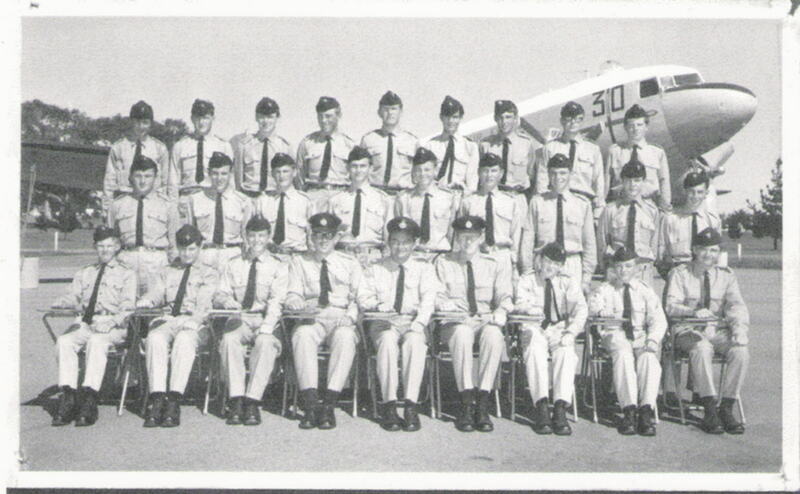 ATC I3 My very first GS Camp, May 1965. 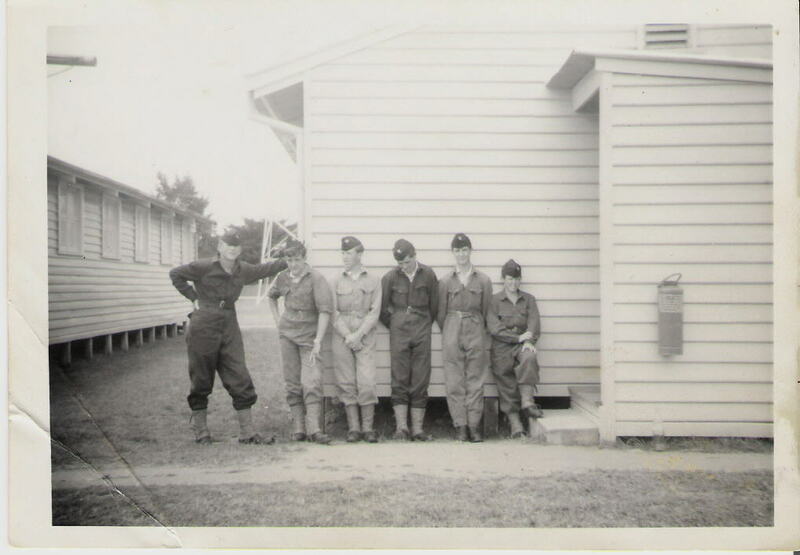 I�m second from right, back row. 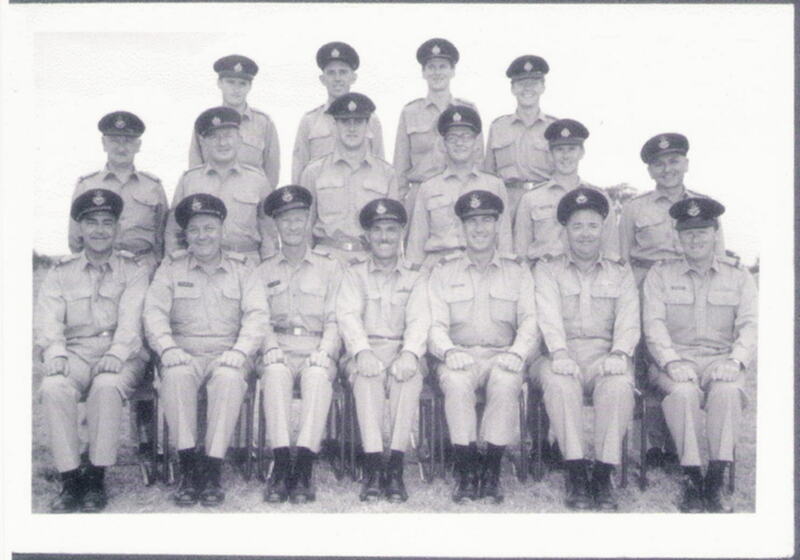 Only a few other names, Blood (second from right, middle row), Gary Boast (fifth from left, middle row) and Ferreri (far right, middle row) we all called him �Enzo� naturally. 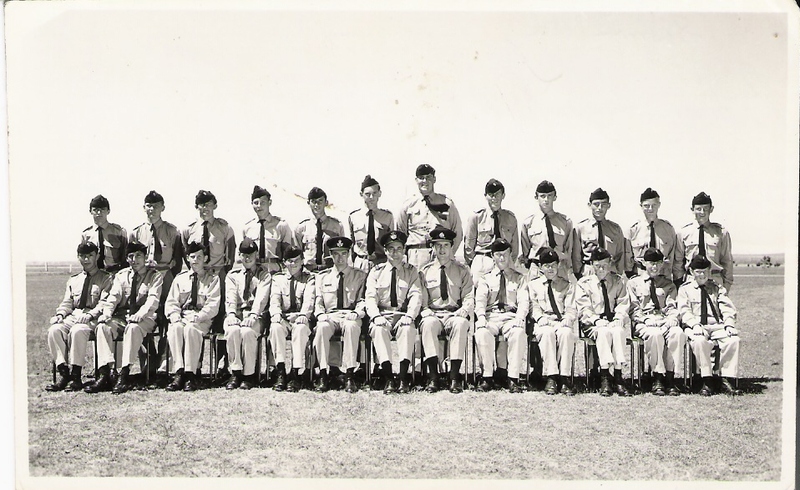 The officer in the front row is FlgOff Rutherford. 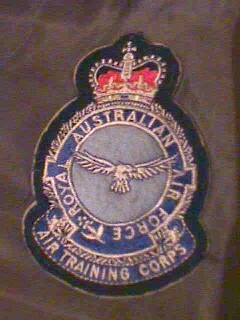 ATC I4 With the Victorian Squadron�s Ground Defence �guru�, FltLt Trevor Coghill. 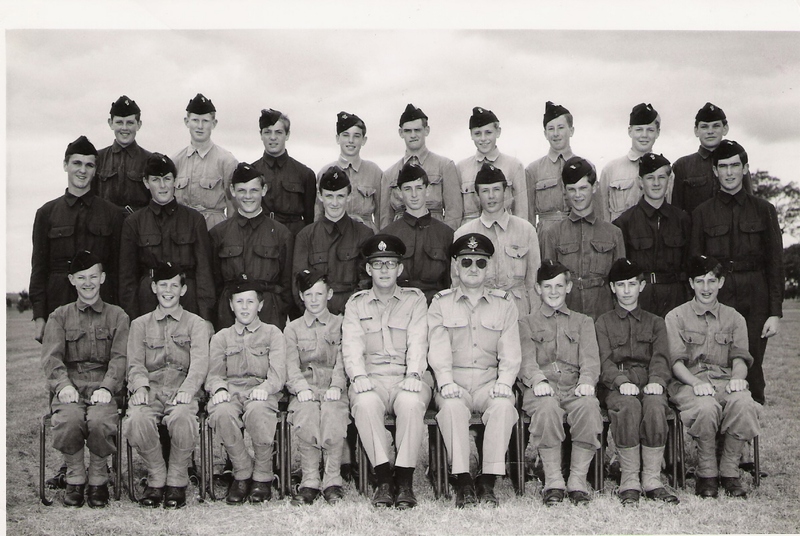 The picture is taken across the road from Camp HQ, and I�m on the far right and the bloke on the left was named McGoldrick. 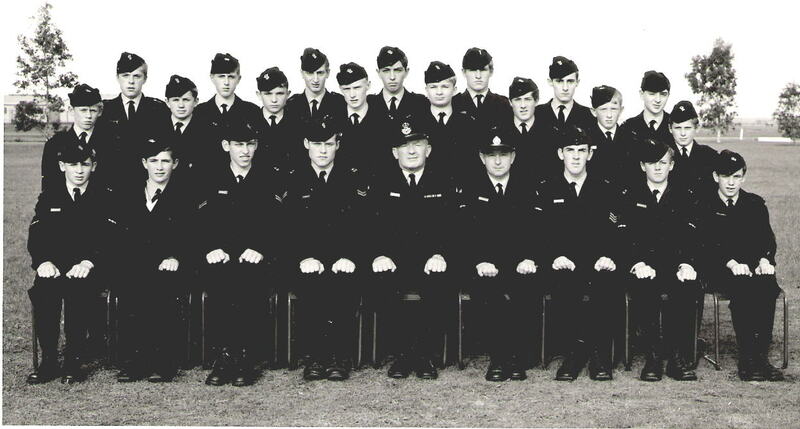 Both of the other cadets were also from 26FLT. Having used only .303s we thought that being so close to an L1AI was pretty good. 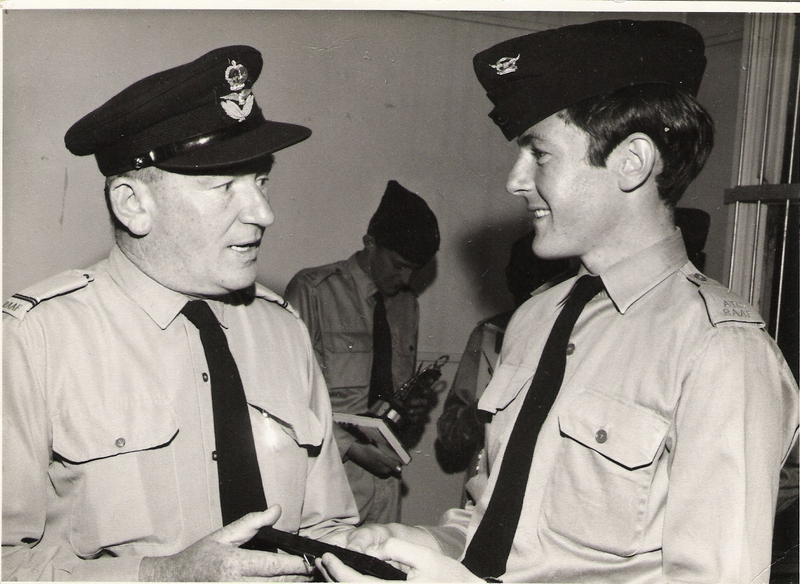 ATC 15 My father and Ton my last night in the Corps, December 6th, 1968. He has just presented me with an award for outstanding service. ATC I8 GS Camp at East Sale. 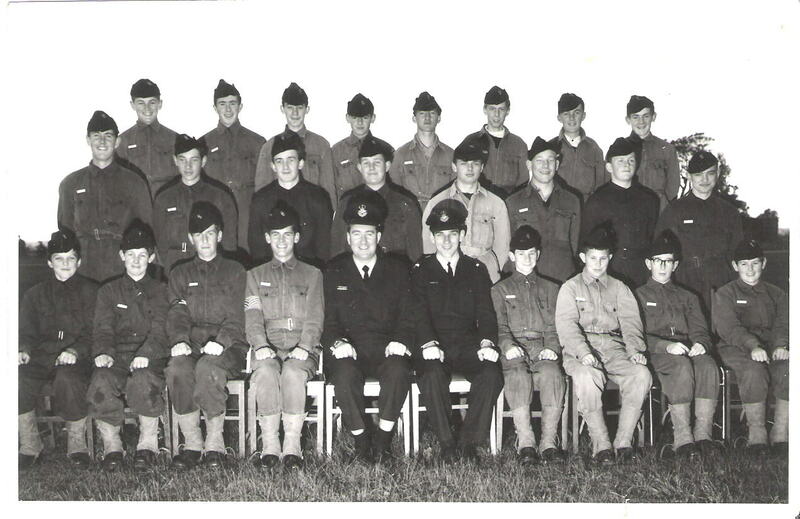 Only two people I know here, my father, middle of the front row, and LAC George Francis beside him.